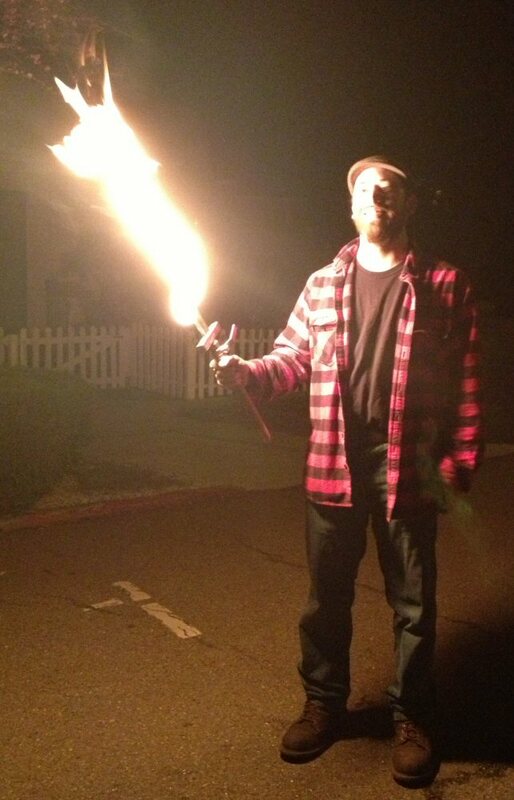 Michael has been working on a flaming sword. He’s really got the thing dialed in very nicely! Custom welding, some custom machined parts, a novel filling mechanism, a safe pressure vessel, butane powered. Win all around! Bringing fire art to random neighborhoods in Albany since, uh, 9:00pm last night?